Translated to mean ‘Way of Peace School’, Wado Ryu was founded by Hironori Ohtsuka. The origins of karate date back centuries, and today karate has evolved to be more than simply a form of martial combat. Wado Ryu is a fusion of logical and natural techniques, which if effectively applied, will enable the weaker person to defeat the stronger. 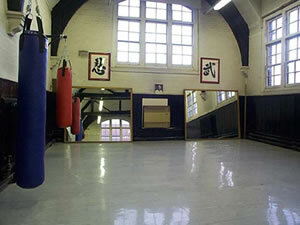 The karateka must in his training strive to achieve a Zen state of mind – empty and devoid of conscious thought. To react instinctively and spontaneously. We use body movement and evasion, bodyweight and speed, correct posture and form to produce an effective technique. Founder of the Wado style of karate. He was born in 1892 in Shimodate, Ibaragi Prefecture, Japan. From the age of five years old he studied jujitsu. His studies continued till at the age of 29 years became the highest degree in ShintoYoshin Ryu and became the 4th Grandmaster of the art and awarded Menkyu Kaiden. Sensei’s thirst for knowledge in the arts took him to the dojos of Choki Motobu (Motobo Ryu), Kenwa Mabuni (Shito Ryu) and Gichin Funakoshi (Shotokan). At the age of 37 in the year 1929 he merged the arts of Shinto Yoshin Ryu Jujitsu and Okinawa te karate and formulated the Wado Karate Jutsu School. He continued to study Kenjutsu with the Grandmaster Gihachiro Kubo. In 1940 Sensei Ohtsuka registered the name of Wado Ryu Karate. Ohtsuka Sensei became a true giant in Japanese martial arts passing away on the 29th January 1982 just 4 months short of his 90th birthday. Wado Karate Union is now also represented in England, Wales, Poland, The Czech Republic, Holland and Belguim.